We have just finished the pilot installation of our Neighborhood Security Camera solution. Evidence quality recordings that would allow manual reading of license plates Day and Night. Determine which software should be used for review of the recordings. We have evaluated a number of cameras, low cost, medium cost and high cost. 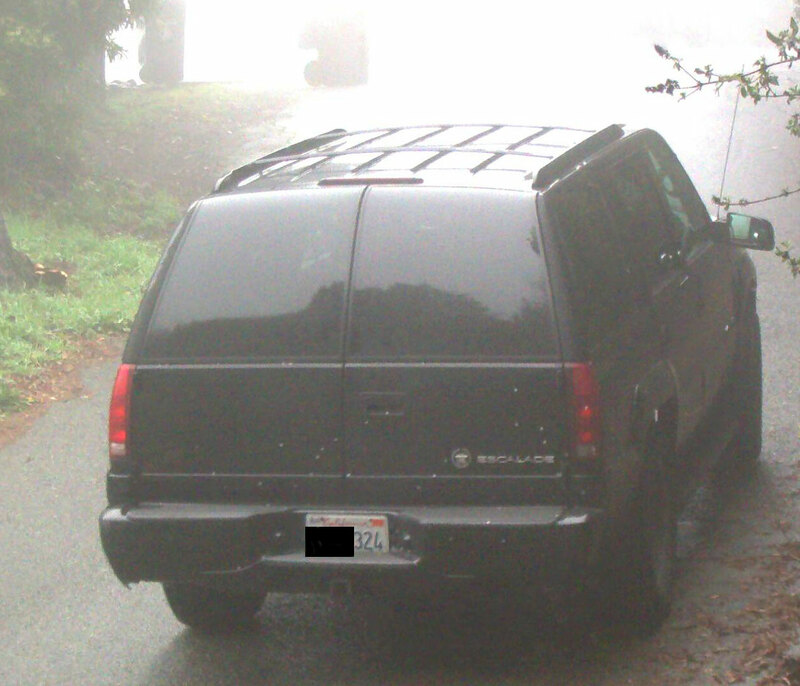 The cameras were tested in live setup in our neighborhoods under a number of conditions both day and night, rain and shine and the famous Oakland hills fog. The Surveillance of public space presented a number of legal and practical challenges that we had to address. The distributed nature of a residential neighborhood compared to most home and commercial installations meant that we had to solve a number of logistical challenges that had not been solved before on a limited budget. Cheap cameras don’t work at all. Medium priced cameras work during the day but not at night. Infrared Illuminators are required for night recordings. Legal issues can be solved. It is possible to coordinate recordings from multiple residences on a budget. We could not find any suitable Commercial or Open Source software. Readable License plate in Thick fog. Click to enlarge. Test car - not a Criminal! 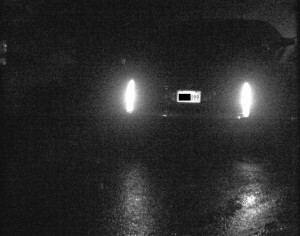 Real car driving by Camera at Night with Rain and Fog. Click to enlarge. Test car - not a criminal! This entry was posted in Real Surveillance Photo, Video Surveillance of Public Space and tagged Real Photo by neighborhoodguardadmin. Bookmark the permalink. What do you think of signs informing visitors of cameras? What do you think of the concern that we could be sued for invasion of privacy? I believe signs are very important for two reasons: 1) Prevention and 2) Remove Expectation of Privacy (4th Amendment). Article on the way about good signage, where to place signs, sign text, how to make your own signs and where to buy signs locally.